Many of you have ridden with the Lord Mayor of Dublin, Ireland. Dublin is one of San Jose’s Sister Cities. We are also planning rides with other sister city mayors, including the mayor of Guadalajara, Mexico and Pune, India. 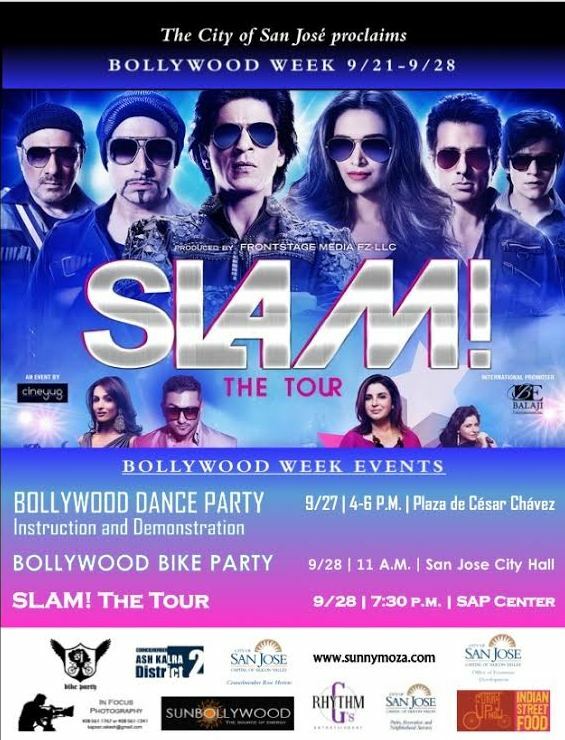 But in the spirit of international fun and bicycle community we are partnering with the City of San Jose during Bollywood week to present the Bollywood Bike Party. The ride just like our other Mayor’s ride’s will include a gathering at City Hall Plaza Before a short ride through the downtown area. 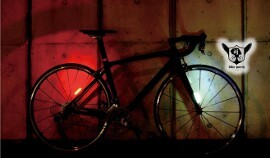 We will gather at City Hall Plaza at 10:30 am and wheels will hit the street at 11:00 am. 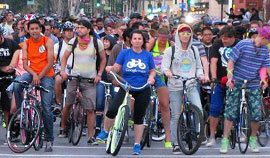 We will have music bikes on hand and will include some of the music from Saturday’s Bollywood Dance Party in the Plaza de Cesar Chavez. For those interested, SLAM the Tour will be at the SAP Center arena that evening at 7:30 pm.